A pie from Spunto. To quote Monty Python: wafer thin. Previously on this blog, I’ve discussed the importance – and difficulty – of getting good, crispy thin crust slices of pizza. I’ve been exasperated as to why that has become so hard to find in this town nowadays. Most of the chain spots – and many of the indies – seem to favor a bland, soggy mush with the flavor and consistency of sucking on a damp mop. 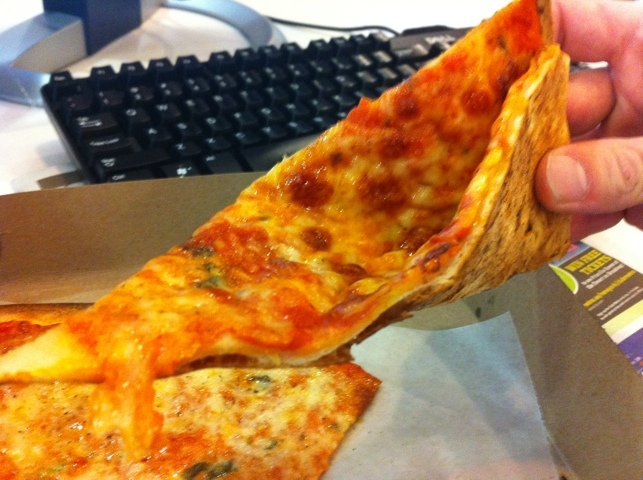 We’ve even had a guest blogger discuss the significance of the NYC slice. 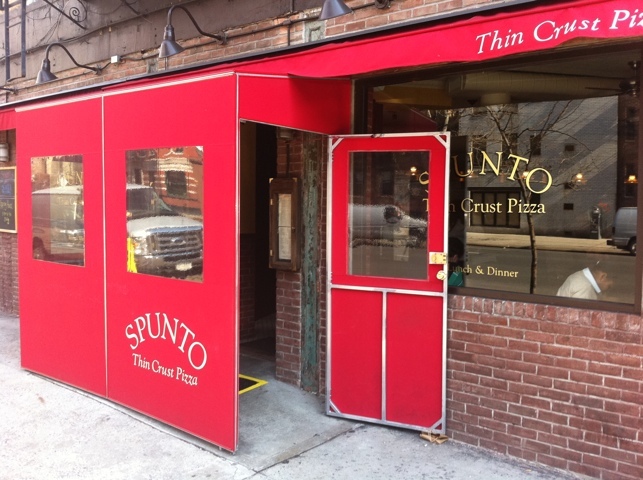 Spunto seems to have taken obsession with crispy thin crust pizza to a whole different level, however, and I am not sure how I feel about it. At the counter. How can they let them sit? They must lose their heat immediately... .
As you can see in the picture, the width of the crust on a typical Spunto pie comes in at somewhere between half an eyelash and a fingernail. I mean, I love thin crust, but this is more like cracker-thin crust. So how is it? The crust may be thin, but it is sure crispy. And strong. Well, I’d say it’s quite good. Spunto enjoys a good reputation, and had been on my radar for a while, so I was glad to check it out. But I don’t know if past its gimmicky razor-thin crust there’s enough to justify going out of my way for – especially since there are other killer pizza spots relatively nearby downtown. 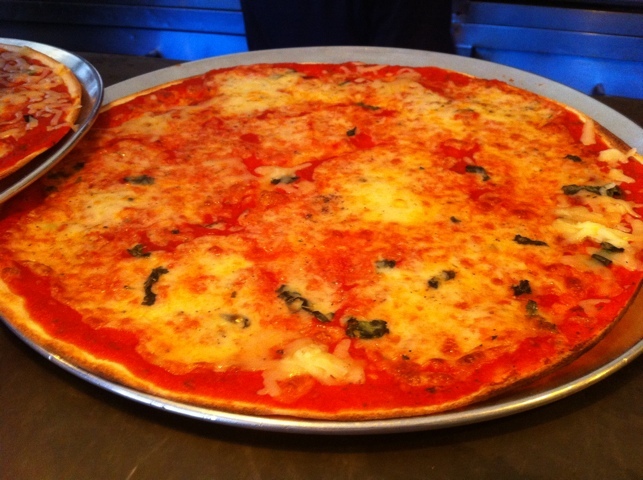 Don’t get me wrong: it has a very good sauce, and good cheese… but it’s no Lombardi’s (or Sal & Carmine’s, or Joe’s). I feel more as though Spunto has a basically good slice and a better gimmick. If you’re really trying to cut the carbs while enjoying pizza flavor, it is probably a damn good option. 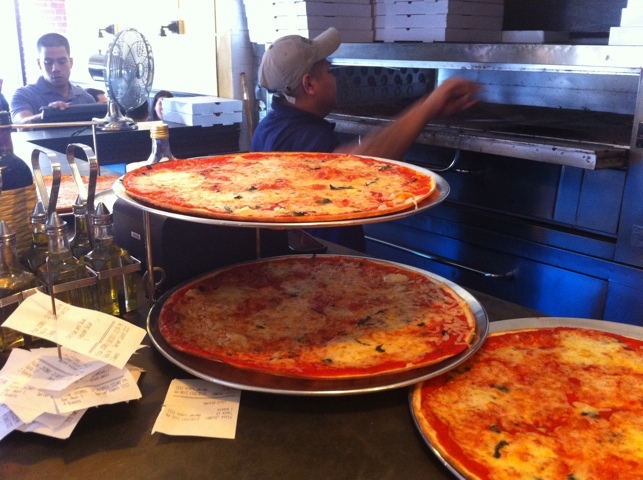 If you’re looking for killer NYC pizza, I’d have to say go elsewhere. ← Levain Cookies Are Excellent. Yes, Please!